My short trip back to Houston just happened to coincide with the arrival of the first couple Vortech Supercharger kits for the ZN6/ZC6 platforms. 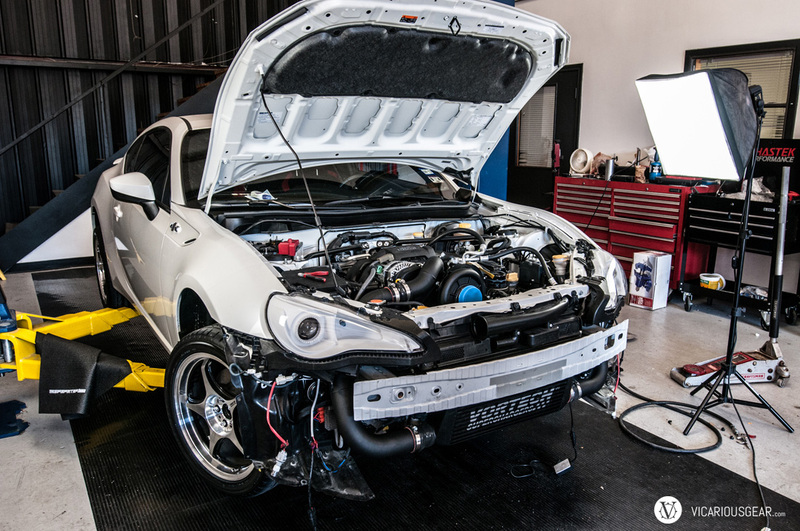 Being an early adopter, my cousin Victor invited me out to Phastek Performance to check out the pieces and help with the wrenching. Being a grease monkey at heart combined with my love of new tech, I couldn’t resist. It is always great to see how different garages are set up as well. I arrived at Phastek in the middle of the first install which was moving slowly but surely. Things were being double and triple checked since these were some of the initial test kits. A few pieces appeared to have overly tight tolerances to moving belts but everything worked out in the end. After bolting everything together, all was clear. 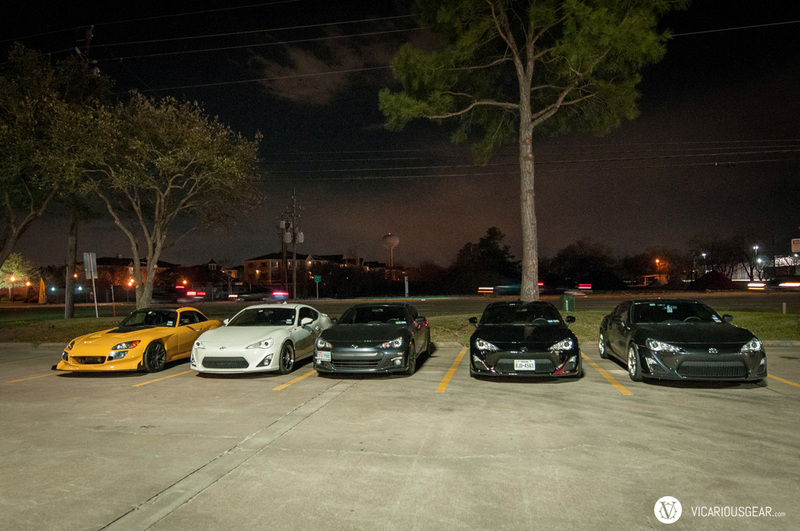 While wrapping up Chris’ car (white FR-S), members of the local FR-S/BRZ community started showing up to help with the second project. In the end, I had to leave early to pick Mimi up from the airport. 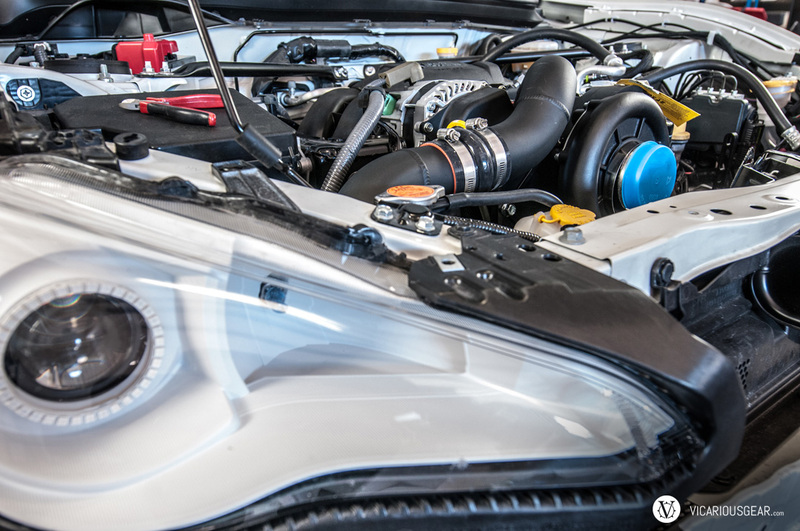 It was nice to meet some new gearheads and the Phastek crew at their slick install and dyno facility. 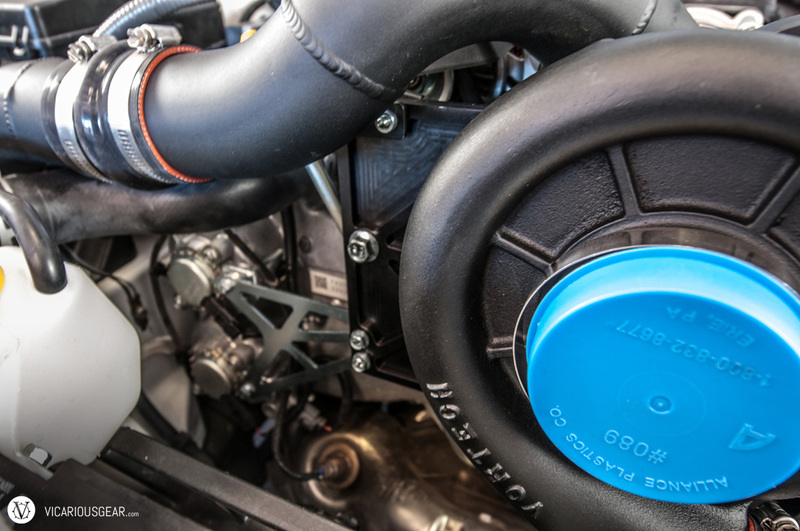 While the Vortech kit doesn’t make huge power, it seems to have good quality while keeping a clean OEM feel. Also the initial startup, which can be the most nerve-wracking part of a build, was instant and with no hassles. 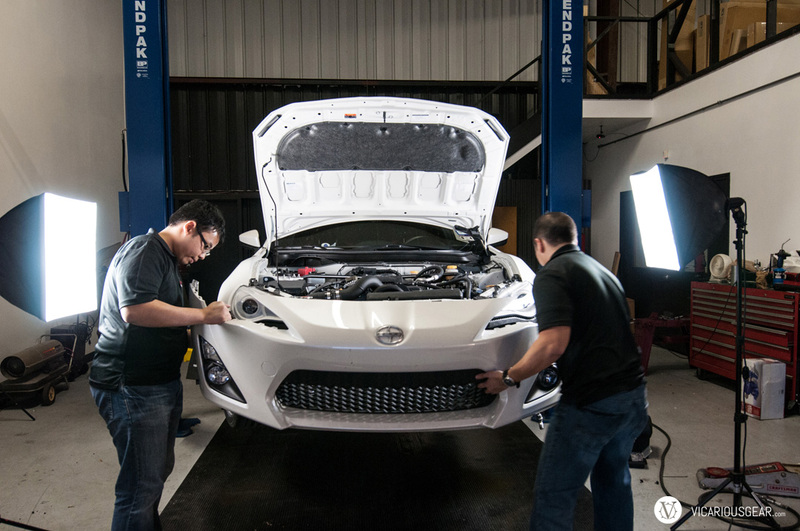 1st car under the knife was Chris’ white FR-S. Love how the shop uses soft boxes for movable lighting. The machined brackets were all of excellent quality. Some of the welding however, left some room for improvement (didn’t get a shot of that). Victor gearing up to load the first flash of the ECU via ECUTEK software. A baseline tune and on-call tech support was provided by Perrin. Nice to see that level of service. Looks pretty much OEM with the black satin coating. Bumper going back on after all the supercharger components were installed. The clips that hold the top side of the OEM bumper near the headlights and side markers are an even worse design than for the S2000. A bit of a pain with the intercooler pulling everything down. Victor’s car was next on the list. 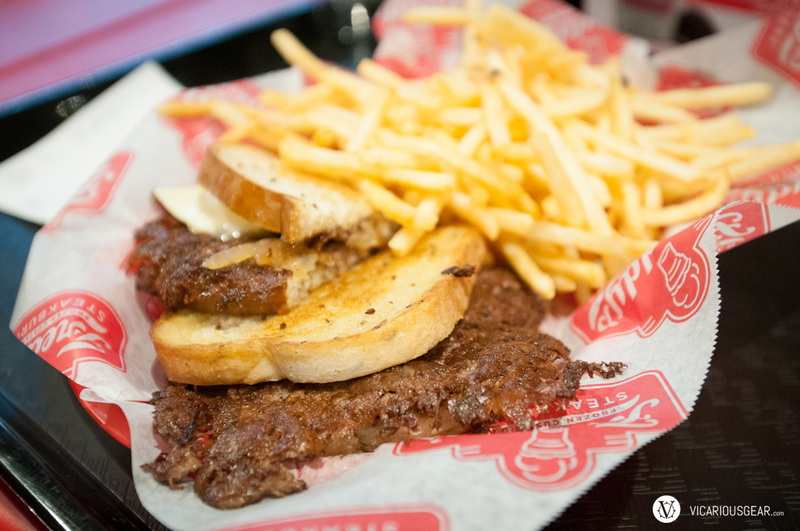 Freddy’s Steakburgers was the closest restaurant. I haven’t had any fast food in so long. The fries were tasty. 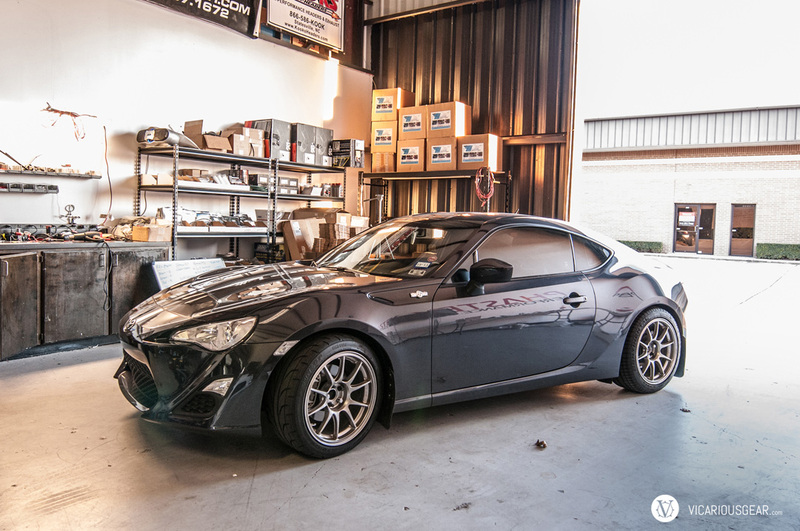 Freshly refueled, the local FR-S/BRZ gang got to work on Victor’s car. Things sure do go fast when you have a team of 5-6 people working on an install. I can’t believe how many clips are used to hold that bumper.